There are two ways a user uses the internet. They can either access through their desktop or mobile. Hence, you need to secure that users from both devices will experience a good time in browsing. And you can do that through responsive web design. You can make sure that your customers find you easily regardless whether they are using a computer or phone. Since responsive websites work equally well for both web and mobile access, it practically cost less in a bird’s eye view. Because instead of the older alternative of making mobile applications for mobile use, you will only need one. Now, you will only have to maintain one version. Ergo, it is less maintenance for you and less headache for your web developer. And with that, you will have plenty of time for other more important matters. Loading speed is critical for user experience. If your online pages load more than three seconds, your users will lose interest in no time. And they may never find their way back to your site ever again. With responsive web design Sydney, that will never be a problem. You’ll have better-loading speed. 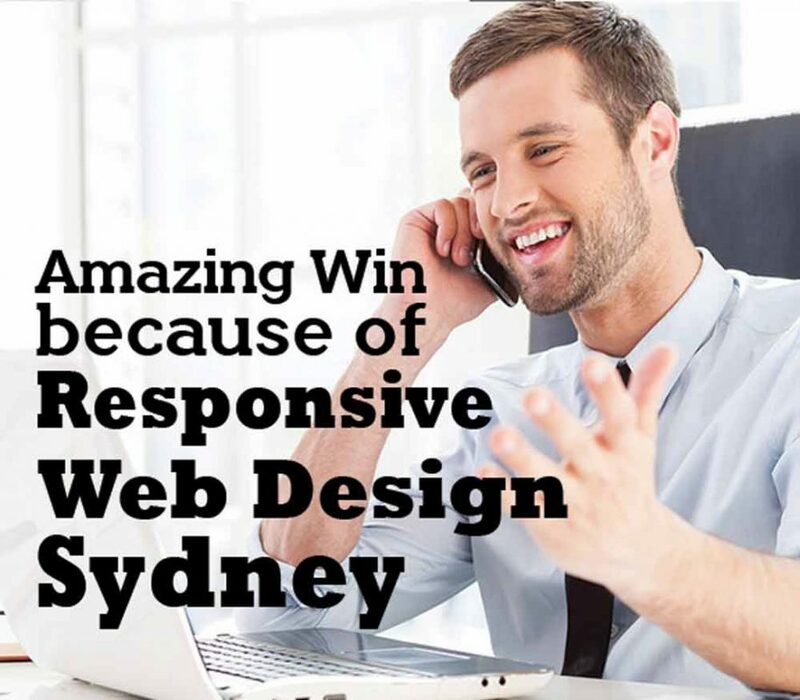 And with all the benefits of responsive web design Sydney, your customers will not have to find their way out. They’ll stay with you and even acknowledge your website as a platform for solutions. Which will further to even better analytics report on your bounce rate. Now, what else will your customers do if they’re hanging out in your webpages? Of course, they’ll explore your services/products. And once they find what they’re looking for, they immediately make a purchase. Thus, better conversion rates for you. With only one version to look after, you will only need to generate only one report. You’ll have better room for a more comprehensive tracking of your progress. And you can look closer to areas of improvement. SEO is even better for responsive websites. In fact, the one size fits all approach is really working out pretty well for search engine optimisation specialist. It is easier to track the uniqueness of content. Furthermore, the decrease in bounce rate and strong backlinks helps a lot for better web visibility. Nowadays, user’s experience is everything. It is one of the most vital pillars of digital trade. Your user needs to have a positive experience from landing to your website until they go out. But if they still need to have to zoom in, shrink and pinch their screens then they might bounce away in a second. Web performance is not just for when a user is online. A good responsive website also ensures a positive user experience even if the user is offline. This is mostly applied when you got suddenly disconnected to the internet connection while viewing a certain page. With this kind website’s ability, you can still browse the whole page even if you’re offline. All these perks are what your website needs. The competition in the digital world will just keep on getting tighter. But the rules of the game are simple, adapt or perish. Want to Get Responsive Web Design Sydney for Your Website ASAP? Get it today! Visit our Aleph IT’s services pages and explore more opportunities that you can take advantage of. You can also go to our blog post to gather useful insights. Furthermore, our main aim is to empower you with the right solutions for web support and services the first time, every time. Get in touch with us and let’s get you started! Also, explore the benefits of our web design support! Read our article What You Can Get in Hiring Web Design Support Sydney. This entry was posted in Web Design and Development and tagged Aleph IT, best responsive web design, responsive web design, web design.